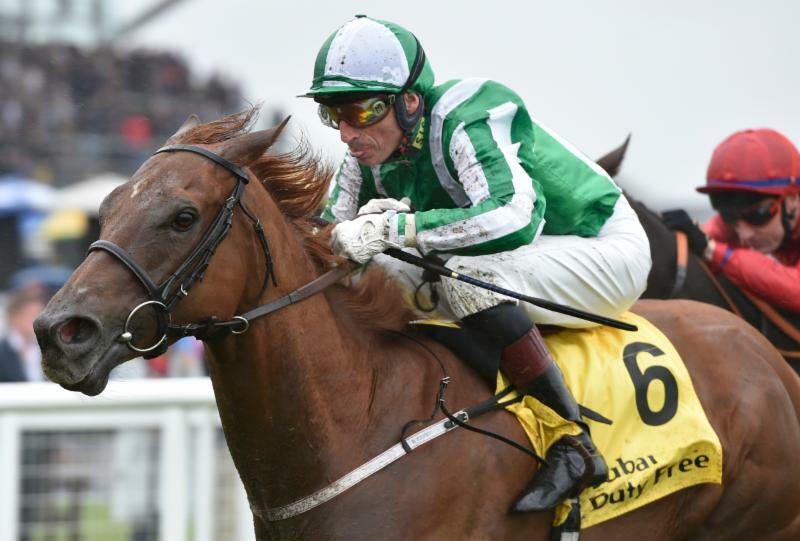 Persistent rain proved no barrier to a great afternoon of racing on day two of the Dubai Duty Free International Weekend at Newbury on Saturday, September 22, with several top-quality performances and thrilling finishes featuring in an action-packed eight-race card. The day's most prestigious Pattern race has proved a springboard for future stars Ribchester (2015) and Harry Angel (2016) in recent years, and this year's winner Kessaar (100/30) also looks to have a bright future following a decisive victory. The John Gosden-trained colt led for virtually all of the six-furlong contest for two-year-olds and found plenty for Frankie Dettori after being briefly headed by True Mason (3/1, Karl Burke/Ben Curtis) entering the final furlong to score by two and three-quarter lengths. 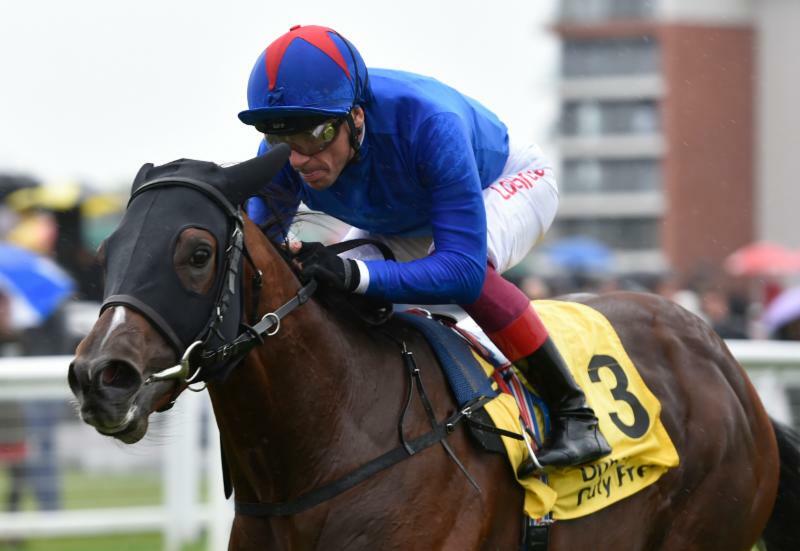 Gosden, winning the Dubai Duty Free Mill Reef Stakes for the first time, said: "We didn't know if Kessaar would handle the soft ground today, but it won't worry us again. "The Criterium International used to be a mile but they've dropped it to seven furlongs and we are all going to Paris." Burke has his eye on Ascot's G3 Cornwallis Stakes for the runner-up and said: "True Mason a high-class colt and he loves that ground. He just got outstayed by a better stayer on the day. "Ben thought it was a matter of how far, and so did I, but he just couldn't get away from Kessaar and then in the last half furlong he's gone away from us. "I was thinking of the Middle Park if he won, but the Cornwallis looks the ideal race for him now. It would be nice to win a Group race before we put him away. The afternoon's incessant drizzle proved just what the doctor ordered for Derby disappointment Young Rascal (William Haggas/Jim Crowley, 5/2), who got back to winning ways following a pulsating three-way battle. The lightly-raced three-year-old, a maiden winner at Newbury in April, got up on the line to beat Mirage Dancer (Sir Michael Stoute/Ryan Moore, 2/1F) by a short-head, with a further half-length back to the 2017 winner Desert Encounter (David Simcock/Harry Bentley, 4/1). Haggas, who has had to exercise extreme patience, said: "Young Rascal worked beautifully at Epsom at Breakfast With The Stars, and then ran as if is legs were tied together in the race itself and never went a yard. It knocked the stuffing out of him and it's been really tough since then as it's been so dry. "Jim was sensible. He went up to Ryan (Moore, on Mirage Dancer) in good time and the horse galloped on strongly. He's a stayer. He looked different today and he looked happy. He's been crying out for this rain and hopefully he'll have a fruitful time now." Crowley added: "Young Rascal loves the ground, he'll stay a bit further and it was nice to get him back on track. He's a good horse." Haggas has his eye on the G2 Prix Chaudenay at Longchamp on Arc weekend provided it's genuinely soft ground, or alternatively the G2 Prix du Conseil de Paris at the same track. The G2 Yorkshire Cup is a long-term target. The G1 Canadian International at Woodbine is a possible target for the runner-up, and it remains the objective of Desert Encounter, who might have provided David Simcock with a fourth Dubai Duty Free Legacy Cup in a row had Harry Bentley hung on to him a little longer. Simcock said: "I think when you go a length up and have gone past the second and third then you've got there a little early, but there you go. He'll still go to Canada. There's no reason not to." Soft ground was always going to compromise the likelihood of a fairytale farewell for Take Cover (David Griffiths/Fran Berry, 9/2), but the veteran was carried out on his shield after being beaten just three-quarters of a length by Mr Lupton (Richard Fahey/Gerald Mosse, 11/4F). Griffiths will do his utmost to engineer a change of heart, but owner Andrew Hollis is adamant that Take Cover will now be retired and said: "Take Cover is 11 years old and I couldn't ask him to come back again. David has done a fantastic job with him. This wasn't his ground, but he tries and tries. He'll definitely retire now." Winning rider Mosse has enjoyed a rewarding first year based in Newmarket and said: "I'd ridden Mr Lupton only once before, when he won at Newmarket a few years ago. "He travelled all the way today and from halfway I was just waiting for my time to press on. I didn't do much at all." It was only in the last stride that Buzz (Hughie Morrison/Charlie Bennett, 9/1) got up to beat Mountain Angel (Roger Varian/David Egan, 3/1F), and plenty thought that the favourite had held on. Buzz, a three-time All-Weather winner, was recording a first turf success and Morrison said: "We've been waiting for the ground all year after a bad injury last year, and we have just had to look after Buzz, so all credit to the owners for letting me wait and wait and wait. It's a very nice pot. "He's hard work and has his own way of doing things but he's not unmanageable - just impatient. He could be one for the November Handicap, but we've got half a dozen of that type. I always hoped he might be an Ebor horse, but there's probably a bit too much speed in the pedigree." A 27/1 double for Young Rascal's trainer William Haggas was initiated by Politicise (Martin Harley, 7/1), who left behind a disappointing debut at Doncaster only eight days earlier with a determined effort from the front, scoring by half a length from Phosphor, with the rest well beaten off. Haggas, who was not expecting the colt to win, said: "Politicise ran awful last week and just never raced. It's not like me to run one again so quickly, but he's won nicely. He loved the ground and he'll get further, so he'll run again." A Group One entry in Doncaster's Vertem Futurity Trophy was a clear positive for King Ottakar (Charlie Fellowes/Ben Curtis, 9/2) and, while the stable is not noted for its first-time-out juvenile winners, the Motivator colt lived up to his reputation with a short-head defeat of fellow newcomer Raise You. Curtis said: "Charlie liked him at home and was bullish, and being by Motivator he wasn't worried about the ground. He travelled through the race lovely, had a nice blow at the half-furlong, and then stuck his head down. He hasn't had an overly hard race and he'll learn a lot from that." An easy success for 2016 Haynes, Hanson & Clark Stakes winner Temple Church (Hughie Morrison/Gerald Mosse, 11/2) completed doubles for both the trainer and jockey. Morrison said: "Gerald said he's a lovely horse - he just needs soft ground. It's taken two years to win another race with him, but you don't get much respite when you are rated in the 90s." Gerald Mosse went on to complete a treble, at cumulative odds of 157/1 with a clear-cut win on Mick Appleby's Jackpot Royale (11/2), who was completing a hat-trick. Asked if it was his first UK treble he answered: "To be honest I've no idea if that's my first as I never check on things like that. The horse gave me a nice sensation in that ground. It's complicated if you don't get a horse who handles it. I guess he'll win again."